Debt and Marriage – Should we merge our debt? Many statistics show that financial issues are some of the biggest triggers for marital problems. Couples who are considering marriage or have already taken the plunge need to have serious, open discussions about their financial situation before deciding to combine their personal debt and making plans to pay off outstanding bills. The best approach is to have the financial discussion before saying “I do.” Discovering that your new spouse has serious financial problems or is deeply in debt can be a very unpleasant surprise, especially if you plan to purchase a house or automobile together. You may be impacted by your spouse’s low credit scores or get calls from collection agencies. However, it is never too late to get all the cards on the table. The key is to have the conversations and keep the lines of communication open when it comes to the financial aspect of your relationship. Consider the following question to start the dialogue: Exactly how much money do each of you owe in student loans, credit cards, car payments and other financial obligations? Providing exact numbers when possible and being completely honest is important to give a realistic view of the current financial situation, which aids in the next step: Establish a budget to address your outstanding obligations. A budget will also help you save for the inevitable financial emergencies that can hit any couple, married or not – a roof destroyed in a hail storm, unexpected medical expenses, or unforeseen accidents that cause one or both partners to be out of work. Open communication and a good budget are imperative for a financially healthy relationship. Some couples opt to keep their own separate bank accounts and handle things in a more complex fashion – and as Dr. Phil likes to say, “good luck with that,” especially when it comes to filing jointly or separately at tax time. But if you and your significant other are at a point in your relationship where you can combine your finances in a peaceful manner, working as a team definitely has its benefits in achieving your budget goals. The first thing you may want to consider are the different ways to merge your bank accounts that will best suit your relationship. Teamwork is also an effective way to pay off outstanding debts. If one spouse is the sole bread winner or makes a significantly higher income than the other, then that spouse may have to consider paying off the other’s outstanding debts, including student loans. Another option is to split the financial resources so that the larger income-earner is responsible for the rent or mortgage, while the other tackles some of the smaller financial obligations such as utilities, groceries, etc. A crucial step to paying off outstanding debt is to establish priority: which debts need to be paid off first? Couples who communicate and work together as a team can conquer the goal to eliminate debt in a smooth and efficient manner. Proactive couples can also consider the options for debt consolidation. Depending on your financial circumstances, you may be able to negotiate with a lender to blend all of your outstanding credit card or other personal debts into one lump sum – allowing you to pay off overburdened accounts and make one central payment. Debt consolidation can simplify a life full of too many credit card due dates and possibly stop collection calls, but it is not necessarily a one-step, overnight solution to repair your credit. 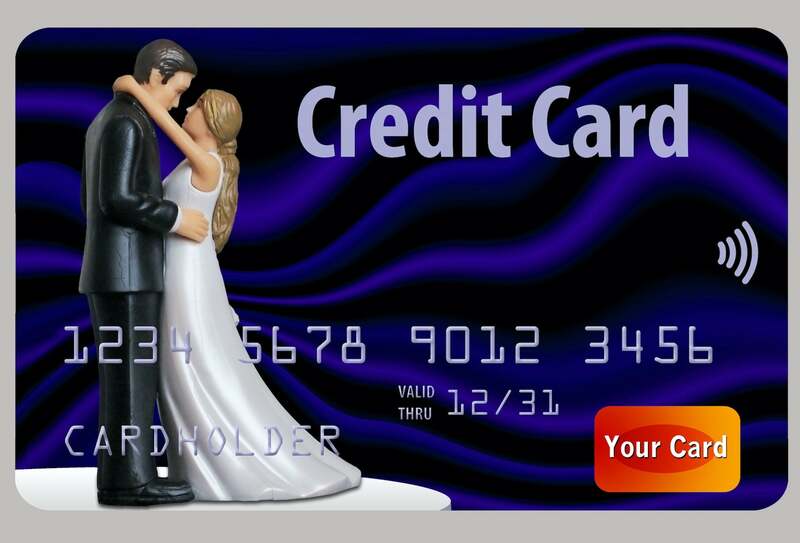 Many couples are confused on how marriage affects credit. As most of us have experienced, credit impacts almost every aspect of our lives in one way or another and can be an important factor when considering the best options to tackle debt in your relationship. Couples may need assistance with credit repair and can benefit from the help of experts in the field. You can consult with us on our social media platforms. Like and follow us on Facebook and leave us a tweet on Twitter. This entry was posted in Life Events and tagged debt, loan, marriage. Bookmark the permalink.